PolarisUSA is proud to offer Icom Radio Programming Cables. 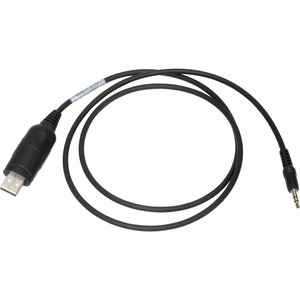 This USB "RIB-less" cable Programs the Icom Models IC-F3, IC-F3S, IC-F3GS, IC-F3GT, IC-F4, IC-F4S, IC-F4GS, IC-F4GT, IC-FTRIC-F11, IC-F11S, IC-F14, IC-F14S, IC-F24, IC-F24S, IC-F43TR, IC-F33, IC-F43, IC-208E, IC-208H, IC-2100, IC-2200H, IC-2720H. You will find that when you purchase a PolarisUSA Program adapter or cable you will very likely never need to replace it!